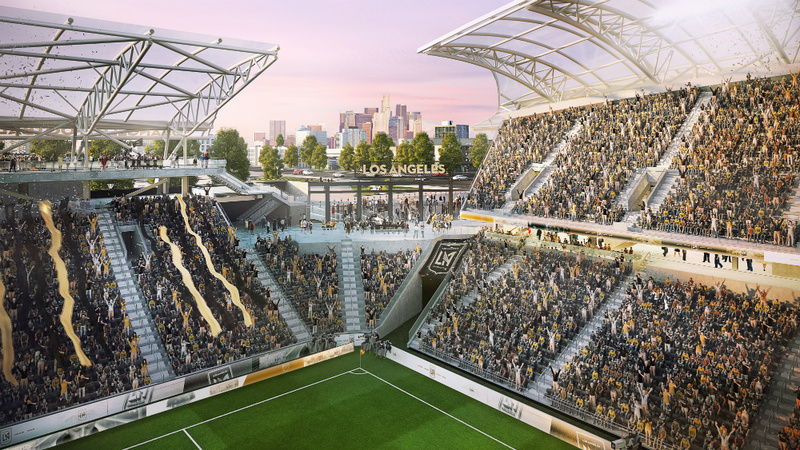 The 22,000-seat stadium was approved by the Los Angeles City Council in 2016 and is now currently under construction. 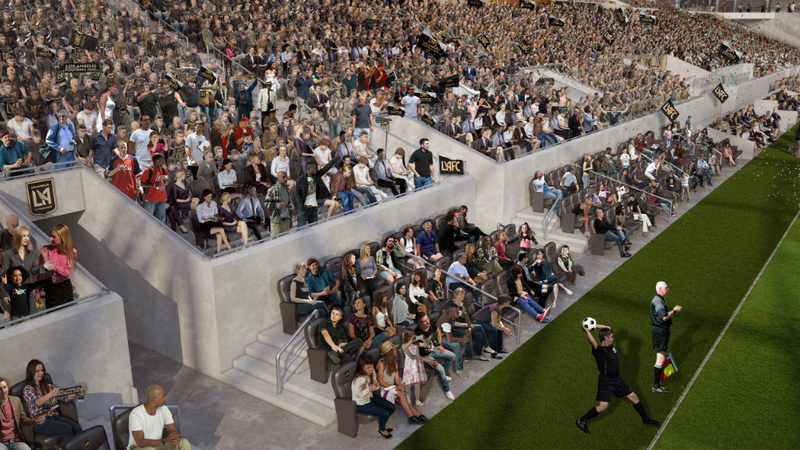 The structure is designed as an open-air stadium in the "European" style, with steeply-raked and sweeping seating areas shaped around the field. 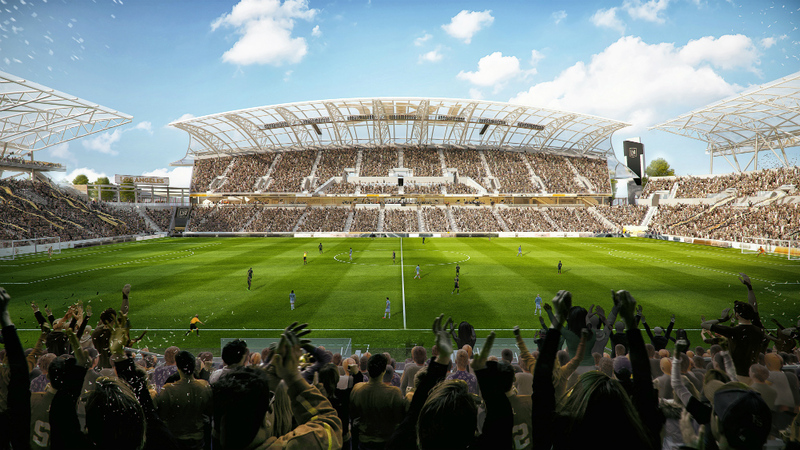 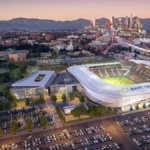 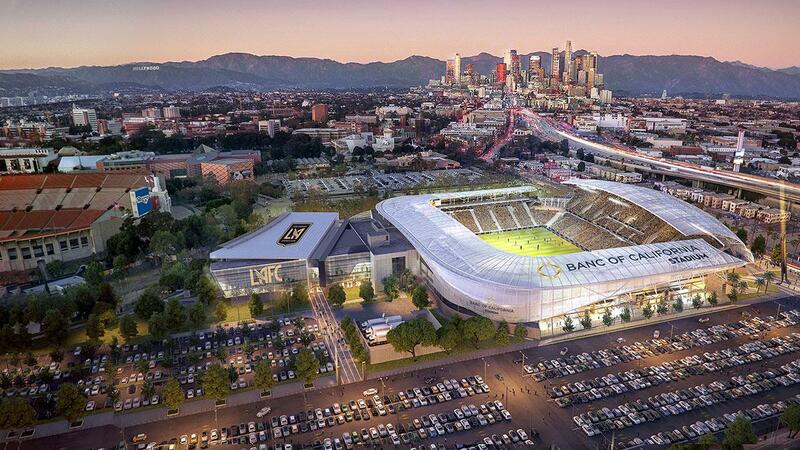 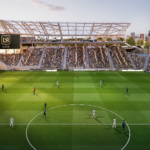 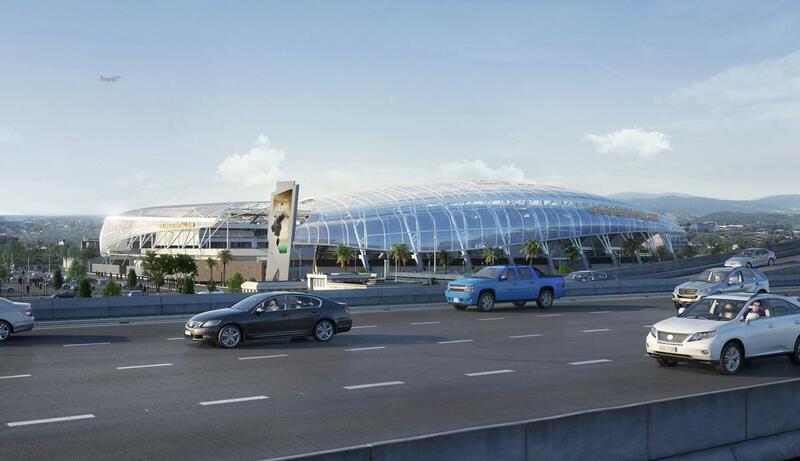 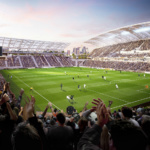 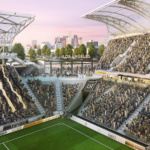 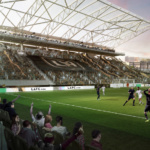 The Los Angeles Football Club (LAFC) and architects Gensler have revealed new renderings for the $250-million LAFC stadium in Los Angeles’s Exposition Park. 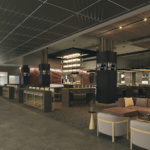 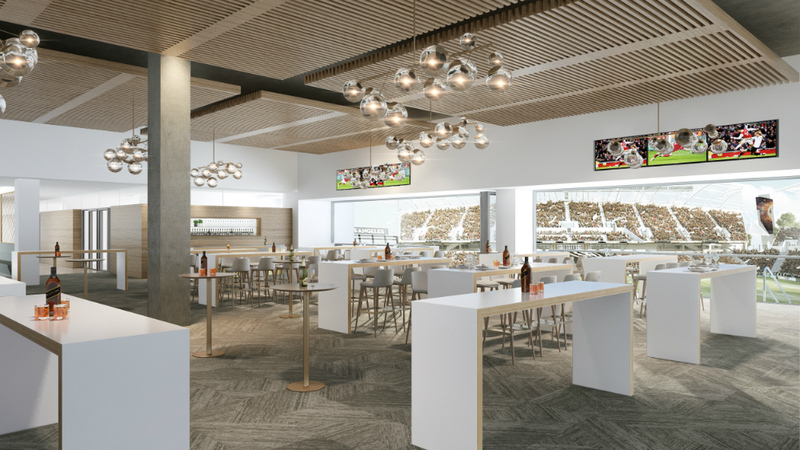 The new renderings also showcase the stadium’s new name—the Banc of California Stadium—and provide a glimpse into the complex’s sleek interiors. 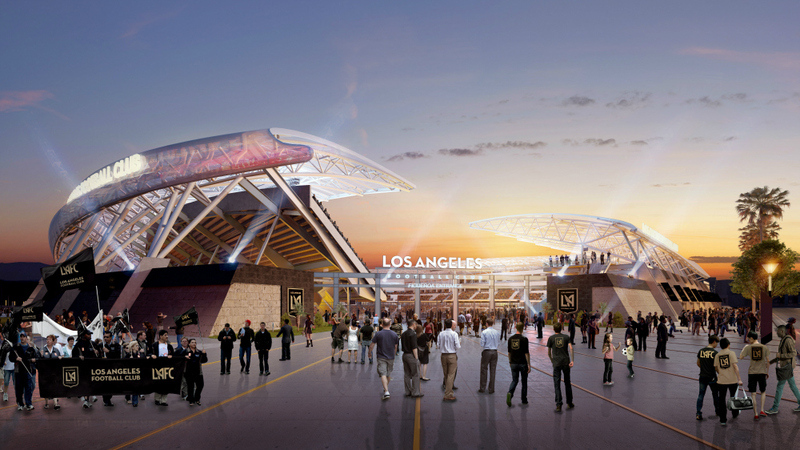 The 22,000-seat stadium was approved by the Los Angeles City Council in 2016 and is now currently under construction. 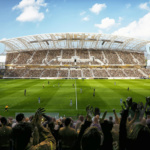 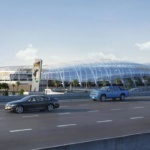 The structure is designed as an open-air stadium with steeply-raked and sweeping seating areas shaped around the field. 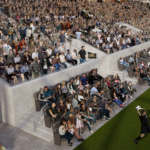 That “European-style” arrangement, according to the architects, emphasizes fans’ experience of watching each match by putting the viewer in a closer relationship with the field and players. 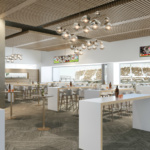 The complex will also include commercial and restaurant functions oriented toward the larger community. 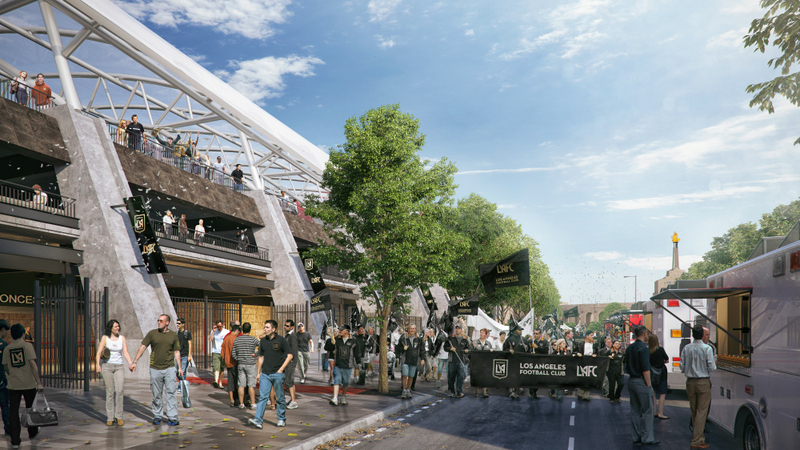 Renderings for the complex show generous pedestrian areas surrounding the main entry of the stadium as well as tree-lined paths leading to other attractions in the park. 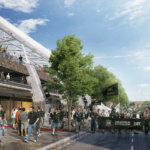 The stadium joins a growing number of new attractions coming to the urban park, including the recently-proposed Lucas Museum of Narrative Art (LMNA) building designed by Chinese firm MAD Architects. 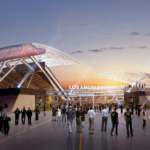 The board of directors for the LMNA announced last week it was choosing Los Angeles as the location for its new museum. 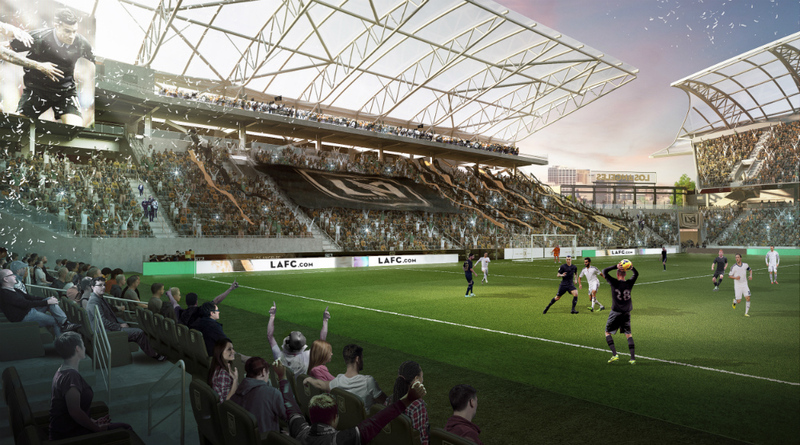 LAFC’s new stadium takes the place of the recently-demolished Welton Becket-designed L.A. Sports Arena, a structure built in 1959 that played host to the Los Angeles Lakers and Los Angeles Clippers professional basketball teams as well as college basketball teams for University of Southern California and University of California, Los Angeles. 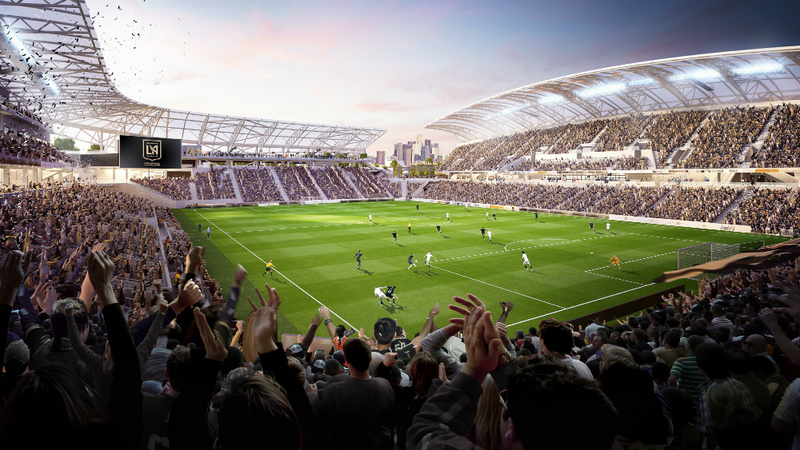 The L.A. Sports Arena held its final event in March when Bruce Springsteen performed a sold-out concert there. 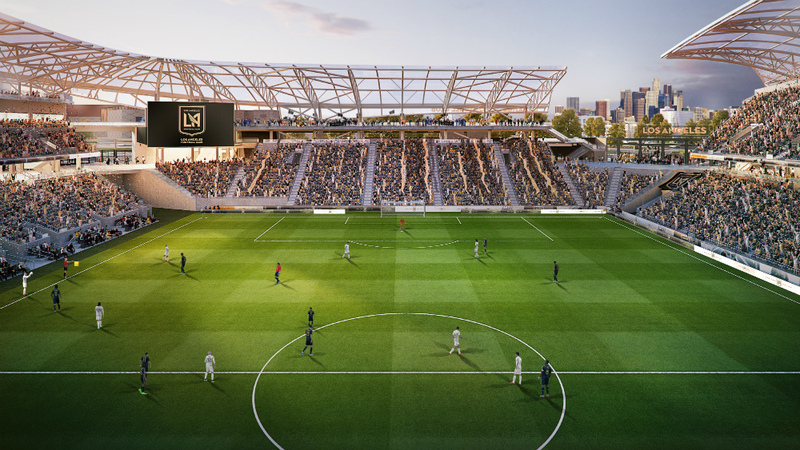 The new stadium is expected to open for the 2018 soccer season.